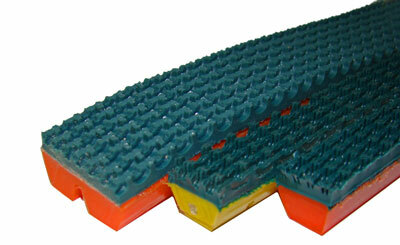 Supergrip rough top covers are available on all Veethane, Reinforced Veethane, and certain flat Polyflex belts. The Supergrip PVC rough top cover provides added coefficient of friction for applications where grip is critical. Because the Supergrip bond is thermoplastic in nature it is virtually indestructible.